Don’t throw away those leaves! Trees grab your attention in the fall. When the leaves are still on your tree, they’re pretty. But when they fall to the ground, they become work. But don’t let them blow away, as they can clog up storm drains and pollute our local lakes and rivers with excess nutrients. Instead of letting them wreak havoc on our environment, when managed properly leaves can actually be turned into a great natural resource. Here are a few tips to help you bag them up, recycle them curbside or at a drop-off site, or compost them in your backyard. Grab that rake and get going. Make it fun. Jump into your pile of leaves and enjoy the autumn air. Then scoop those leaves into a large paper bag or another compostable bag. Ask a neighbor for help if you need it. Once those leaves are bagged, they are well on their way to becoming a resource. Yes, your leaves can be recycled! Bagged leaves and other yard waste (such as grass clippings and branches) are picked up weekly on your regular trash day, when in season. Once picked up, they go to a commercial compost facility where they are processed and eventually turn to compost. This year, the City of Minneapolis will pick up yard waste curbside until the week of November 12, 2018. Just make sure the leaves are in paper or another compostable bag, or in a container no larger than 33 gallons in size. 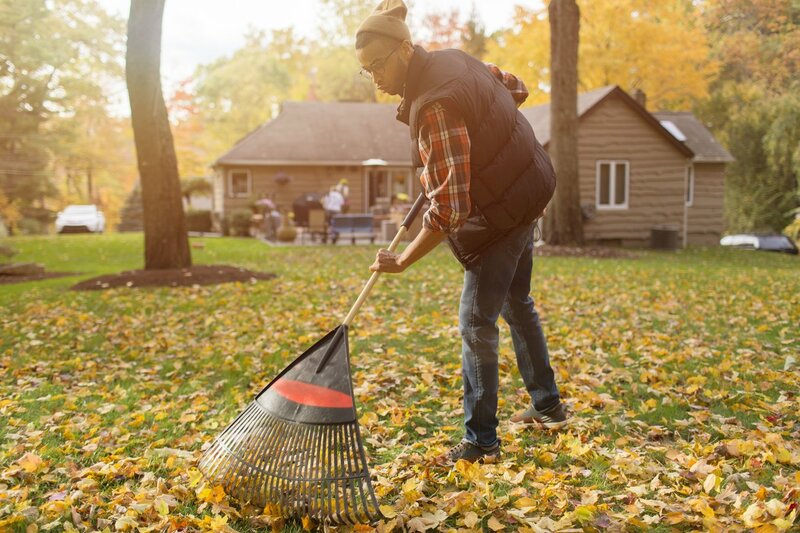 If you still have leaves left after the cutoff week, either store them until curbside collection resumes in the spring or take them to a drop-off site or compost them. Note: It is illegal to put yard waste in your household garbage. If you missed the cut-off date, you can also drop them off at a local yard waste site. There are several options in the Twin Cities. In Minneapolis, the SKB Malcolm Avenue Transfer Station takes leaves through the end of November for a $9 drop fee plus $10 per cubic yard. For addresses and other Twin Cities drop-off locations, visit hennepin.us/yardwaste. Note: Hennepin County does not operate a yard waste drop-off site. You can also keep some of your bagged leaves to be the “brown” in your backyard composting mix. If you are looking to start your own backyard compost in the spring, you will need that supply of leaves for their carbon to offset the nitrogen from food waste. Another option is just to leave the leaves on your lawn. If you don’t have a compost bin, you can still capture the nutrients. Be sure to first mulch them by cutting them up with a mulcher setting on your lawn mower. The smaller pieces are more apt to decompose and become part of your lawn. This blanket of leaves not only helps to block weeds and adds nutrients as leaves break down, but also serves as great starter insulation for perennial beds. For more information about managing leaves and yard waste, go to www.hennepin.us/yardwaste. — Information provided, in part, by Hennepin County.